Granite is an ideal solution for homeowners looking for aesthetically appealing countertops for their kitchen and bathrooms. It is not only durable and easy to maintain but it also elevates the beauty of a room. No wonder it is gaining popularity every day among a majority of homeowners looking to upgrade their dull kitchen and bathrooms. There is a variety of granite countertops available, and each type gives a modern look to the space in which they are installed. 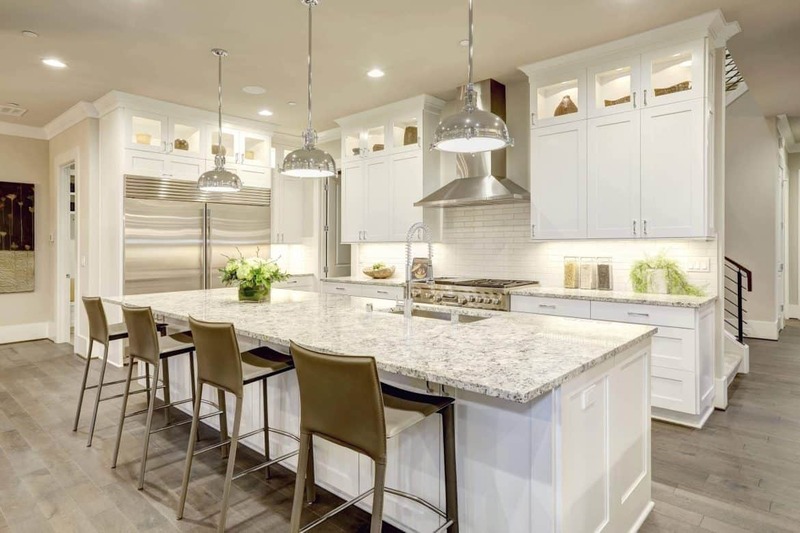 Therefore, if you are for the idea of using granite countertops for your kitchen, here are the top three characteristics to watch out for in 2019. Some granite patterns resemble marble while others are akin to sand. A variety of vein patterns, specks, and swirls can be found across different types of granite, and a place to explore this immense diversity is at Chain of Lakes Granite. The versatile nature of granite will make it easier for you to find a granite slab that suits your overall design scheme. Therefore, whether you will choose the trendy designs such as Lapidus, which is a lighter shade with a more marbleized pattern or Verde Peacock with fine specks, be sure to get a remarkable countertop that will complement a variety of black splashes and appliances. It is clear that the color section brings life to the design appearance and atmosphere of any kitchen. For 2019, the trendy colors will likely range from petrol-green to vibrant choices such as dark or deep blue. Granite is composed of different types of crystals and comes with a variety of colors. Concisely, the color of granite largely depends on the crystals that form the majority of the cut piece. The various shades that are likely to come up in 2019 include white, grey, green, brown, blue, and orange. In addition to the patterns and colors, you can also have your granite countertops finished in various ways depending on your preferences. Speaking of a variety of finishes, polished granite countertops are the most popular option, and they are going nowhere anytime soon. The good thing about this type of countertops is that they feature a high-gloss surface that resembles a mirror. Besides, the honed finish is also a viable option, and it is known for making the stone look matte. Moreover, if the mentioned finishes do not match your expectations, then you can as well try out the specialty-leathered finish that offers a more natural appearance. In summary, granite is one such a viable option if you are looking to give your kitchen an awesome look. What then could you expect from a natural stone that will last for as long as you may wish to have it if not durability? So, if your kitchen is in need of some remodeling, then consider checking out the trendy granite countertops for 2019 for a great and elegant look.